In a large bowl, thoroughly toss the potatoes, chopped onion, and sliced peppers with olive oil, thyme, onion powder, garlic powder, smoked paprika, salt, and pepper. 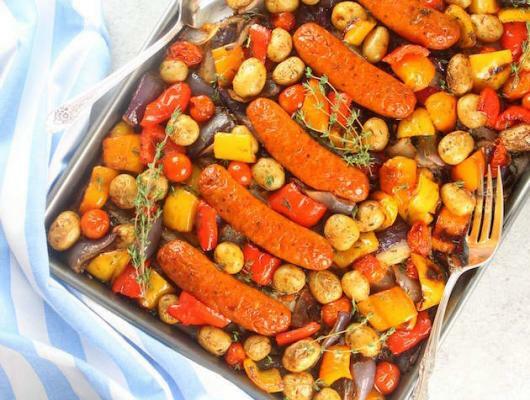 Pour the veggies onto a large parchment-lined baking sheet, and roast in the oven for 20 minutes on 425. 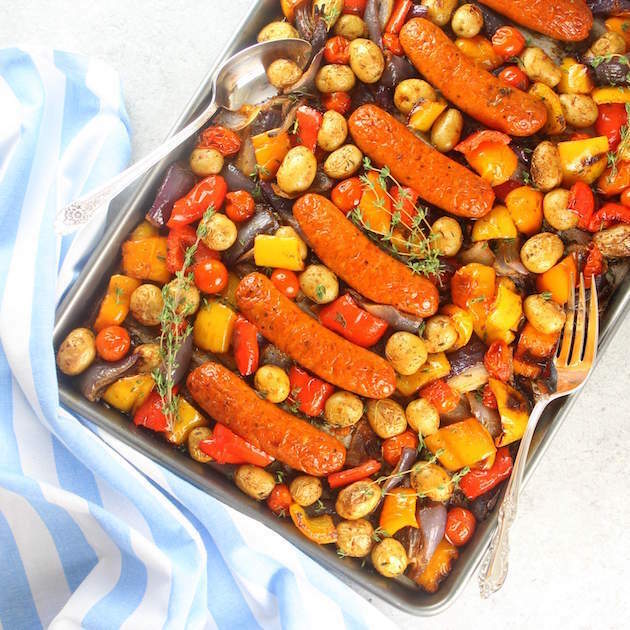 Without removing the pan from the oven, add the Andouille chicken sausage and cherry tomatoes to the pan. Cook for 8-10 more minutes. Season with more salt and pepper to taste and serve immediately. Deconstructed Andouille Chicken Sausage Veggie Kabobs! With cherry tomatoes, peppers, onions, baby potatoes, smoked paprika, fresh thyme.